Re-Model Design & Build Co. Is a young and innovating company which specializes in home design and construction. Our specialties includes managing and executing projects such as kitchen remodeling, bathroom remodeling, general construction, outdoor living, green remodeling, roofing, plumbing, electrical and more. 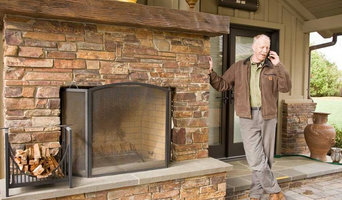 If you are looking for a company with rich record in the remodeling industry and many years of experience building and managing hundreds of projects all around the bay area. We offer full service remodeling experience which start from the min we hear your vision to the time it is all said and done. We take pride of our work and keep eye for the small details. We are licensed, bonded and insured. We offer free consultation at your home and we have one promised for you, we will always do and choose what is best and suite your needs by giving you our most honest and reliable opinion. Our focus as a company is set on using green building materials to help preserve our planet. Our 24/7-customer service team would love to help and answer any of your questions. Our philosophy is simple we will provide a whole Re-Model experience to our customers by holding ourselves accountable from start to finish. Our founding philosophy is to build lasting relationships that begin with our clients and branch out to our community. At Stylit USA we redefine the construction industry by offering unprecedented services and results from our experienced forward-thinking team. We work relentlessly to give our clients the most compelling and fulfilling experience imaginable. From our beautiful and unsheathing designs we build trust, and from our commitment we build loyalty. $600 Allowance toward a Bathroom Vanity! We work closely with clients and architects to build beautiful homes which contribute to the allure of each neighborhood we work in. Through working with exceptional clients, creative architects, and a team of fine carpenters and subcontactors, we have created a business which prides itself on a history of satisfied clients, attention to detail, the highest level of professionalism, and continuing customer service. At iBuild Construction you will find your on site contractor, not an "online, paper contractor" We are a small business, with a big vision in what is becoming the new TECH Construction and even bigger determination to please our costumers. We have worked with many home owners as well as Big Paper Contracting companies, of which we have earned A+ rating plus references. As a small business we understand the amount of work it takes to secure a contract especially going against all this new none local contractors who at the end of the day place any low bidding contractor to perform the work, with that in mind we provide our costumers with competitive prices, and we guarantee to only sub-out work to specialty trades, performing 75% of the work or more. Please hire your local companies. General, or construction contractors, are often known as project managers. They oversee the entire remodeling or new home construction project and facilitate all day-to-day tasks that move it toward completion. A East Palo Alto general building contractor will work with your architect to review plan as you build a house and ensure everything is in place before work is started as well as arrange for permits and necessary inspections. While good local home improvement contractors in East Palo Alto will have the skills to handle certain tasks onsite, such as carpentry, he or she is also responsible for hiring subcontractors for the majority of jobs, such as electrical work, painting or plumbing. In addition, the general contractor should be on-site regularly to inspect the progress and resolve issues. Here are some related professionals and vendors to complement the work of general contractors: Architects & Building Designers, Interior Designers & Decorators, Landscape Architects & Landscape Designers, Kitchen & Bath Designers, Specialty Contractors. Home remodeling contractors are a must for successful completion of a renovation. 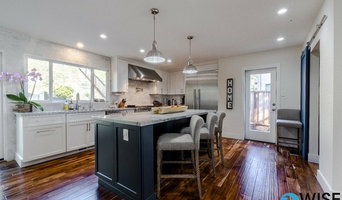 Because of this, it's essential that you do your homework before deciding on the right general contractor in East Palo Alto as you remodel or build a house. Inspect bids carefully. Was it ready when the contractor promised it? Was the bid for building a home unusually high or low? Each of these things can be very telling: A late bid may reflect timing standards, and an off-the-mark bid could be code for a pricey premium or a deliberate underbid to score the remodeling job. You should call references, carefully read reviews and visit completed projects in East Palo Alto, CA to see if they’re what you expect for your job. Once you do secure your local East Palo Alto contractors, read the contract very carefully to be sure everyone is on the same page. 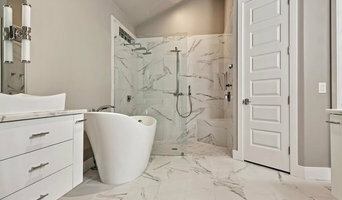 Find an East Palo Alto contractor on Houzz. Narrow your search in the Professionals section of the website to East Palo Alto, CA home contractors. You can also search for photos in East Palo Alto, CA and contact the East Palo Alto general contractor who worked on the project.